Travelling through B.C. leads you to small communities, picturesque mountains, historic sites and everything in between. 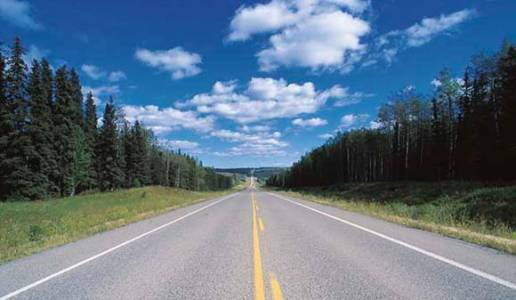 To help inspire your escape, BCAA has mapped out five of the best road trip destinations in B.C. Surf, sand and goats. Drive on board a ferry and head to the west edge of Vancouver Island, visiting all the little towns, nooks and crannies along the way. Explore the surf-tossed beaches of Tofino, hike the Wild Pacific Trail in Ucluelet, cruise through Barkley Sound or visit Butterfly World and Gardens in Coombs. For something different, explore the market in Coombs where the rooftop hosts a family of goats. Launch into the sea and sky. The classic Coast Mountain Circle Tour travels through Britannia Beach, Whistler, Pemberton and Lillooet and then returns along the TransCanada Highway through the Fraser Canyon. Don a hard hat at the B.C. Museum of Mining, practise your golf swing at Whistler, and picnic among the rare limestone cliffs at Marble Canyon, north-east of Lillooet. Then discover “how the west was won” at Historic Hat Creek Ranch near Cache Creek and try to strike it rich gold panning at Hell’s Gate. Relax and relish in B.C.’s fruit basket. The Okanagan is known for its prime golf courses, spas and wineries. 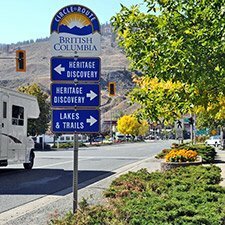 Travel the scenic Hope-Princeton highway and stop at Canada’s only pocket desert near Osoyoos, saddle-up for horseback riding in Penticton, delight your taste buds at the wineries in Naramata or unwind on a house boat in Kelowna. Go north and back in time. Head north up Highway 97 and catch some gold fever at Barkerville Historic Park. Travel via the Yellowhead Highway on to Fort St. James to check out the preserved fur trading forts, followed by a relaxing soak in the hot springs south of Terrace. If you have time, stroll through the Sunken Gardens during a self-guided tour of Prince Rupert or watch carving artists work their magic at the Museum of Northern British Columbia.